A few weeks ago, I meant to pick it up at my library before I saw the second one. I forgot but then I saw it televised on FX and figured why not watch it again? A young Viking comes across one of the most dangerous dragons in the world and befriends it. I saw this in the theater with my dad; I still have the 3D glasses. At the time, I thought it was a decent film. Flash forward to a few weeks ago. My dad comes home from work and, as part of our tacit agreement regarding who gets the remote, I hand it over to him since I knew he wanted to watch golf. To my surprise, he doesn’t change the channel and we end up watching the rest of the movie together. We don’t say a word but I suppose I underestimated the outcome. Toothless, let’s face it, is as adorable as Stitch (or at least I think so). Not surprisingly, this was made by the same people who directed Lilo & Stitch. You know he’s supposed to be mean and scary but he has this cute streak going for him that almost negates it. 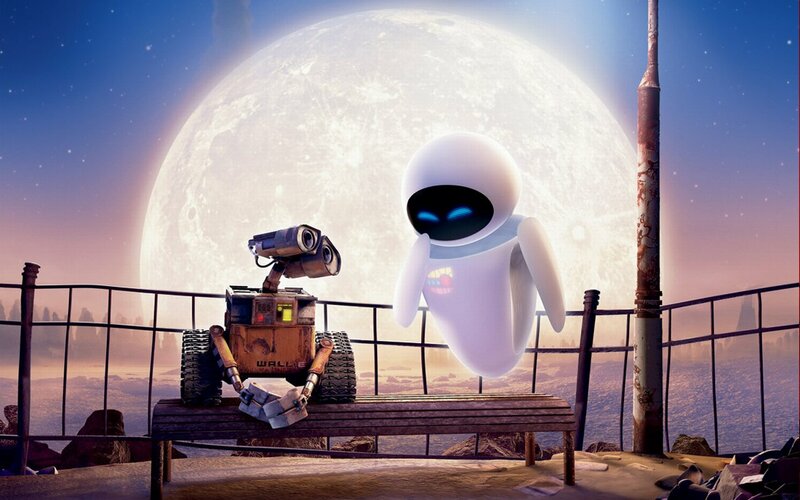 As for the human side of the relationship, I wanted more. Sure, Hiccup as the social outcast was nothing new but there was something about him that was different. Maybe it the voice, the humor, or his awkward nature, I can’t pinpoint just one aspect but the combination seemed to fit. Either way, I found myself rooting for him, if only because killing off the main character at the end would make the movie less enjoyable. Back when I was a computer animation major, I found that there were more people talking about the film than when I saw it in high school. I don’t recall anyone discussing it back then; I left it as a film that was good, not great. In college, it became apparent that I missed something when I saw it. People discussed different parts of what they liked and that led to a repeat viewing. Before I go see the sequel with some friends, I can say that I’ve only seen one or two episodes of the show and none of the spin-off shorts. Based on word of mouth, I don’t think it’s necessary. But if the second one is as good as I hear it is, then I’ll make sure to pay attention when I see it. This film is not the first to answer that age old question that has plagued the greatest minds of all time, “What does the fox say?” If anyone was going to use that as a comment, sorry I spoiled your fun. 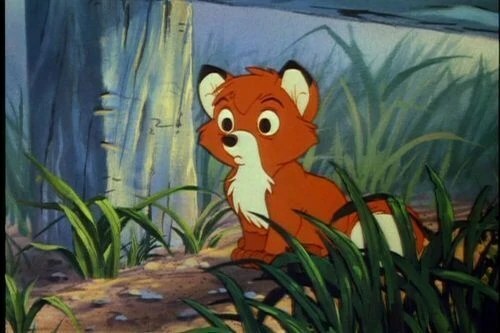 A fox and a hound, natural enemies, become friends as kids and then grow up to realize the awful truth. I only watched this maybe one or twice as a kid but the tape “mysteriously disappeared” for a long time. I dug it out yesterday and watched it with my family. It was interesting how my autistic brother immediately recognized Paul Winchell playing someone other than Tigger. Other than that, the movie itself has some faults. The screentime is divided in a curious fashion where the film could easily be called A Fox, a Hound, and Two Birds. The relationship of Dinky and Boomer, instead of providing brief moments of comic relief, has more than its fair share of screentime. As I watched their scenes, I questioned what characters the movie was supposed to focus on. I didn’t find them entertaining and I wanted them to vanish with each passing second the movie stayed solely with them. I thought Chief should’ve stayed dead once he got hit by the train. The damage he takes during his fall was enough to have him out for good. Besides, he didn’t go through a noticeable character arc for the entire film. We see him wrapped in bandages and that’s that. But what about Tod and Copper? I only remember watching them in their early days, mostly due to one of those Disney Sing-Along tapes as “Best of Friends” was featured. Of course, they’re cute as kids; just look at baby Tod in the picture. Once they turn into adults, their tone becomes more serious when they’re together. It’s quite striking, seeing as how each of their perceptions have changed because they have to follow the laws of nature. The ending does leave them resolved, but to be apart. It’s just an average film. I suppose it’s fine for kids but probably better with an adult around for the more serious imagery. The fox is cute, no doubt about it.